Following Whiddon’s $100,000 donation to Rural Aid’s Buy A Bale Program, two trucks loaded with hay rolled into Kelso, a suburb on the outskirts of Bathurst this morning. 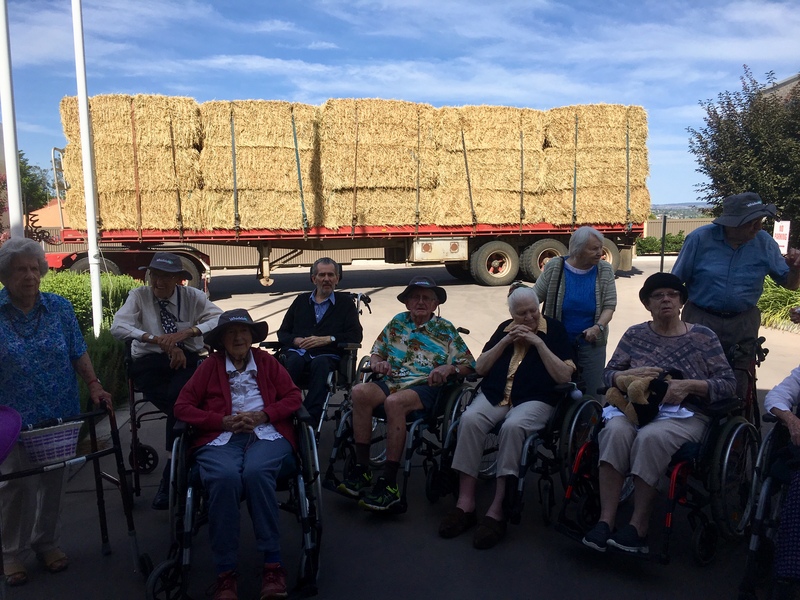 The trucks stopped in to Whiddon’s Kelso aged care home on Ilumba Way to meet residents, employees and local community members before heading to Blayney to deliver the hay. 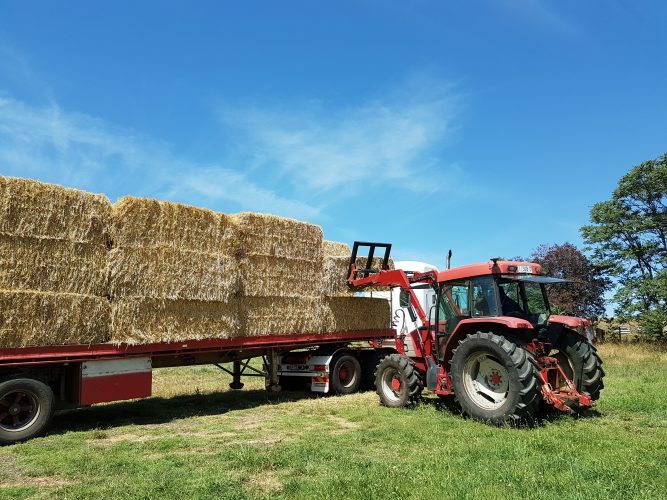 The truck’s final stop was a property in Blayney, where local farmers registered with Rural Aid met the truck and were able to collect their long-awaited and much needed hay. 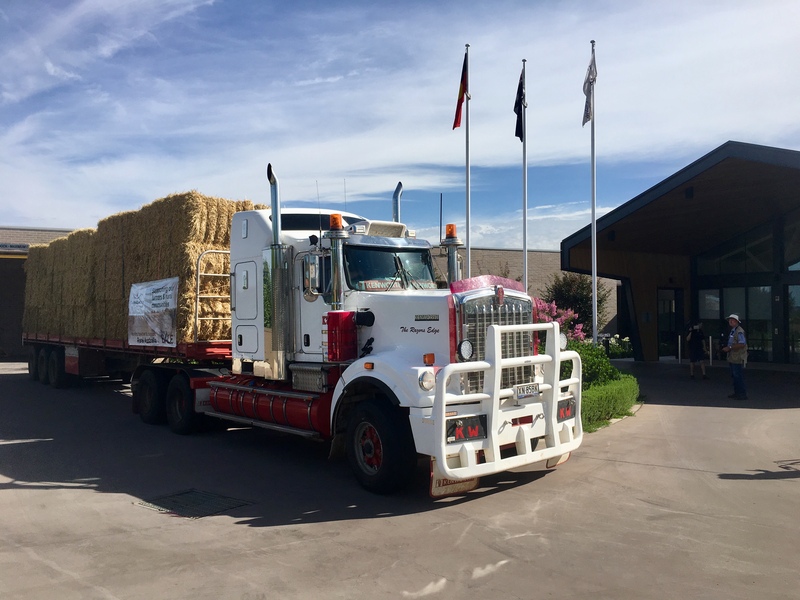 Rural Aid’s trucks travelled from Western Australia to Bathurst, a journey that took more than 3 days, with 60 bales of hay for farmers in the Blayney area. With each bale valued at over $250 and feeding around 40 cattle for 1 – 2 days, it was a delivery received with open arms by the local community. 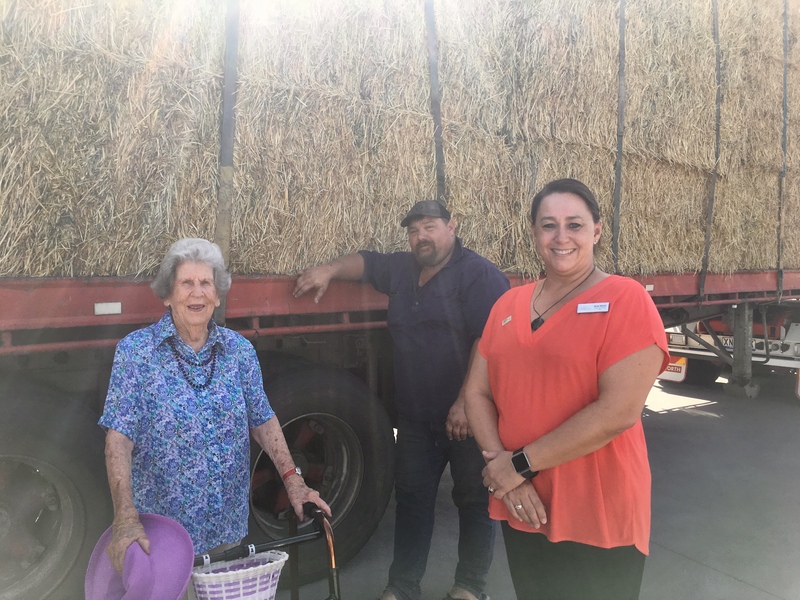 Whiddon Kelso resident, Naomi Smith, met the truck at the aged care home before travelling to the drop-off location in Blayney and was honoured to be there for such an important delivery. 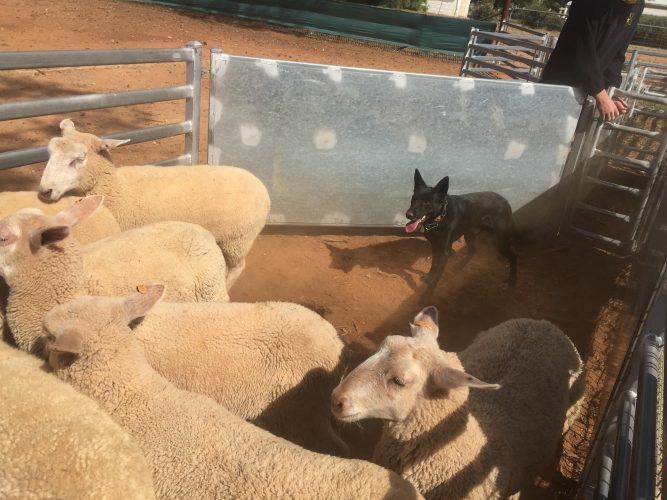 Naomi and her late husband Jack had sheep and cattle farms at Evans Plains and Eglinton, and Naomi’s grandchildren are farmers in the region too, so the significance of the hay delivery was not lost on Naomi. “As an aged care provider located primarily in regional, rural and remote areas in NSW and QLD, we are often at the heart of our communities and have been proudly supporting and actively investing back in them for 70 years. 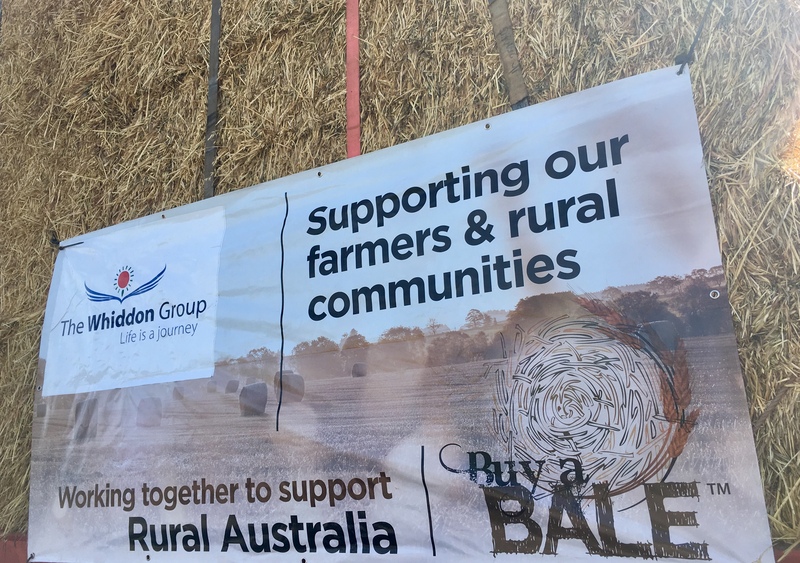 It has been devastating to see the impact of the drought on these, and other communities,” shared Whiddon CEO, Chris Mamarelis.